Whether you are looking for telescoping attic stairs or folding attic ladders, the Rainbow Attic Stair family of products, manufactured by SP Partners LLC, represents the highest quality solutions and most innovative metal stairs for attic and other space access available. We know how to build stairs! 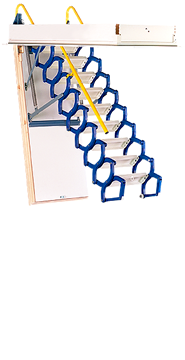 Rainbow Attic Stair offers the most diverse line of attic and other access ladders available on the market. 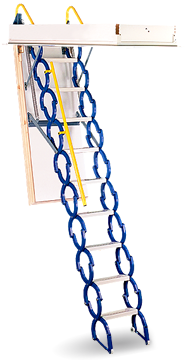 Our ladders are easy to operate, built to last and packed with features not found in other attic ladders. The design of our attic ladders is beautifully rugged and a pleasure to use. They are available as telescoping attic extension ladders and folding attic ladders, for both residential and commercial use. In addition to standard attic access ladders, special application stairs are also available, such as our WallAccess Stairs for vertical entry, Lofty for loft or small space access, and two remote controlled Galaxy models for automatic operation. 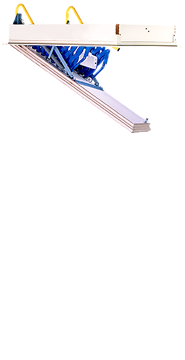 In our ProTech line we offer two fire rated attic stairs in 30 minute and 75 minute configurations.